Brief Synopsis – A powerful mayor decides to run for re-election for the last time and has his reporter nephew tag along in order to watch how it’s done. My Take on it – I have always been a fan of Spencer Tracy’s work and think he was an amazingly talented and diverse actor. This role once again proves that and shows how much range he had in his choices of roles. 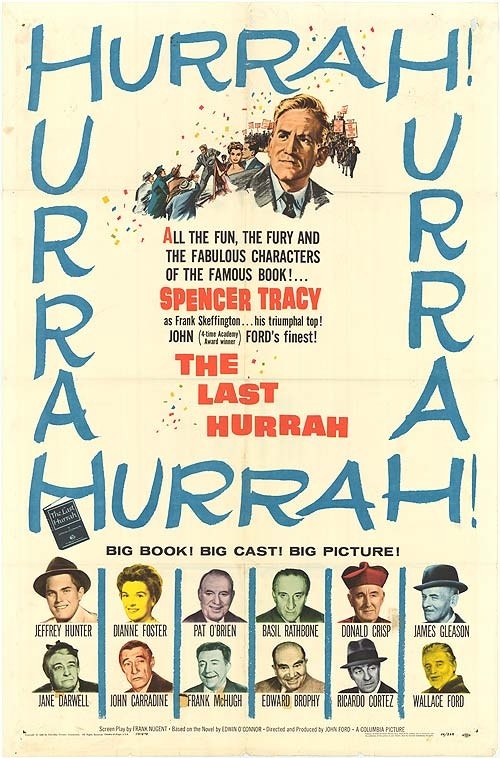 This movie gives us great insight into the behind the scenes work involved in running a political campaign during the 1950’s before the media took over just about every aspect of it. Back then, the cadidates needed to have more of a personal connection to the voters and this movie highlights many of the ups and downs of it. Unfortunately, becsuse the way campaigns have changed so much in the interim, many aspects of this movie seem dated despite still being fascinating to watch. Bottom Line – Perfect role for Tracy which once again shows his range. Great behind the scenes look at how political elections use to work before the media took full control of it. Feels a bit dated, but is still a nice nostalgic look at what use to happen. Recommended!